Managing WordPress sites can be challenging, especially if you do this on behalf of other companies. Each client needs to feel that they have your full attention, but practically you can only focus on one at a time. Depending on how many clients you have or WordPress sites to administer, squaring this circle can require legendary organisational skills and total recall. Or, a service like GoDaddy Pro making the fine detail of this task a little more manageable. 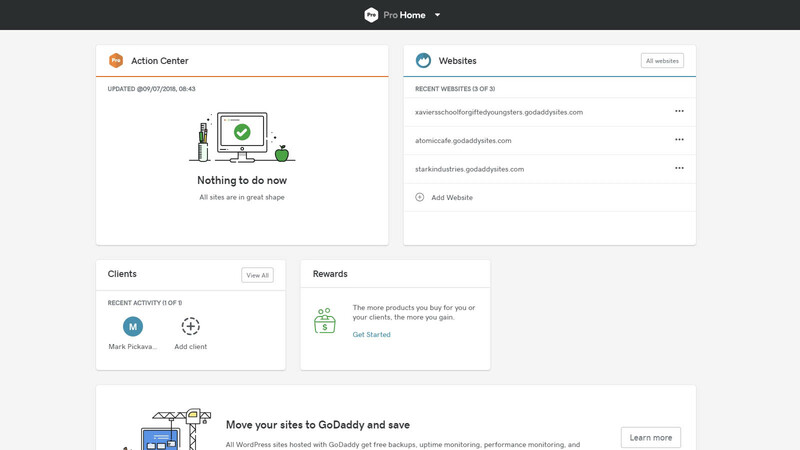 Simply put, GoDaddy Pro is a free to join service that enables a web developer to grow their web business with free tools to manage sites and clients. It works with sites that are hosted by GoDaddy and those elsewhere, and for GoDaddy customers, there are some extra useful features for sites created using either the GoDaddy Website Builder or WordPress. For WordPress developers it is also the best place to go should you wish to bring a site to GoDaddy. 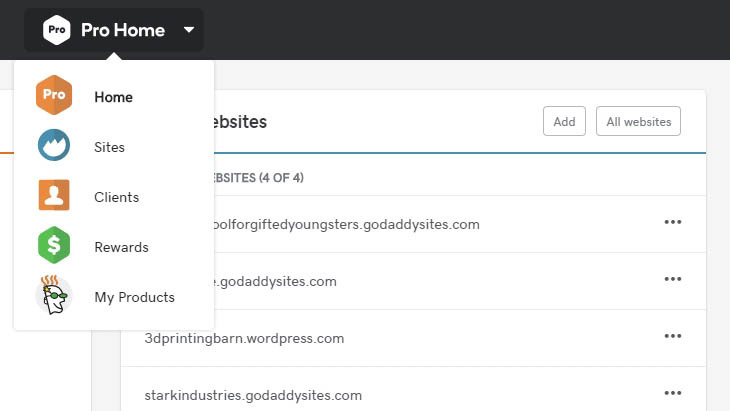 Existing WordPress sites hosted elsewhere can be selected from inside Pro Dashboard and then after clicking ‘Migrate website’ the site is transferred to GoDaddy hosting painlessly. Those that already have a hosting plan can they allocate this site from their existing hosting credits, and for those who aren’t already using GoDaddy, you can select one of the available hosting plans. Once this is agreed the site transfer can begin, and you will be kept informed about progress through to completion. 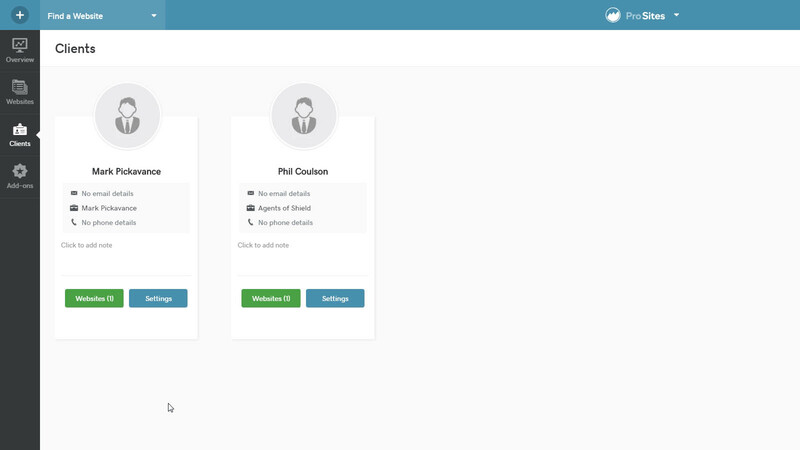 But as a website management tool, what else has Pro to offer? The first place you arrive when logging into GoDaddy Pro is the home page, a location that’s full of useful information. Not least what jobs you need to do most urgently, but also tips on being a better Pro and a reminder of recent activity. At this top level, you can access your sites, clients, the GoDaddy Rewards scheme and ‘My Products’, an overview of my financial relationship with GoDaddy and the services you already have. Of these, what will interest most managers of WordPress sites are those pages specifically connected with Sites and Clients. The Pro Sites page has four sub-pages; Overview, Websites, Clients and Add-ons. Overview is where you see the bigger picture, and once you’re managing more than a handful of sites that’s not always easy. All the sites that you are responsible for managing are here, and that includes those that are WordPress based but also others. And, you can also identify those that are hosted by GoDaddy and elsewhere. Alongside the website information is your current list of clientele, and how many websites each has. If you’ve got many sites to manage, you can also employ a tagging system. Sites can be designated as Development, GoDaddy Hosted, Live, Personal and Starred. If you need even more tags you can easily create your own, maybe if you like a few more layers between Development and Live. There is also a language breakdown, a WordPress specific filter and a means to select sites that use Add-ons. From here, irrespective of how many sites you manage, you should be able to set some filters, so that when you click to the Websites page, only those that you are most interested in showing. 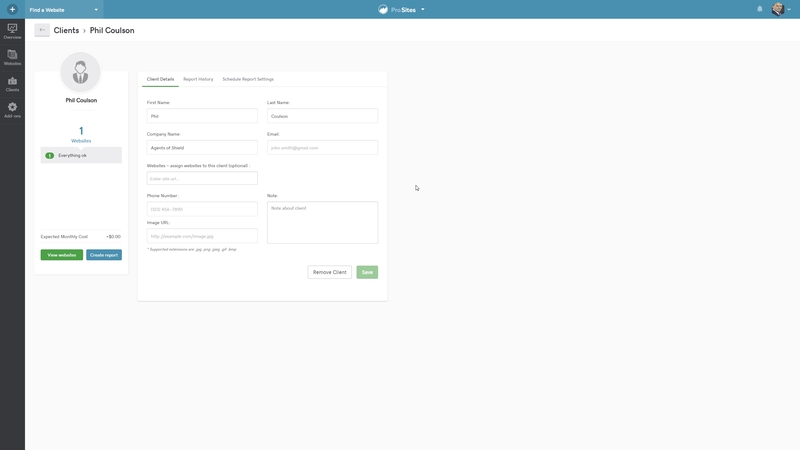 At first glance, this page is similar to the Overview, with the same filtering panel that lets you select by Status, Clients and Tags. 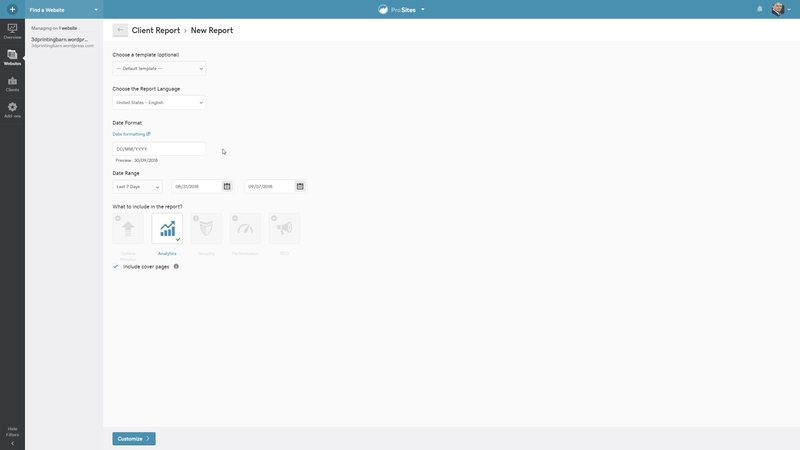 But what it also includes is a thumbnail of the site showing what it currently looks like and quick access to the dashboard of that specific site. The Dashboard is a complete overview of that site and its history, and in there you can add additional GoDaddy functionality. 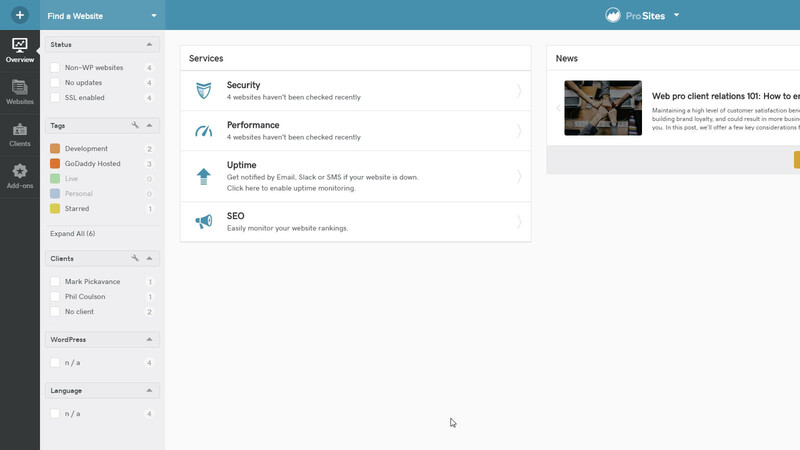 Such as uptime monitoring, website rankings and connect it to Google Analytics. 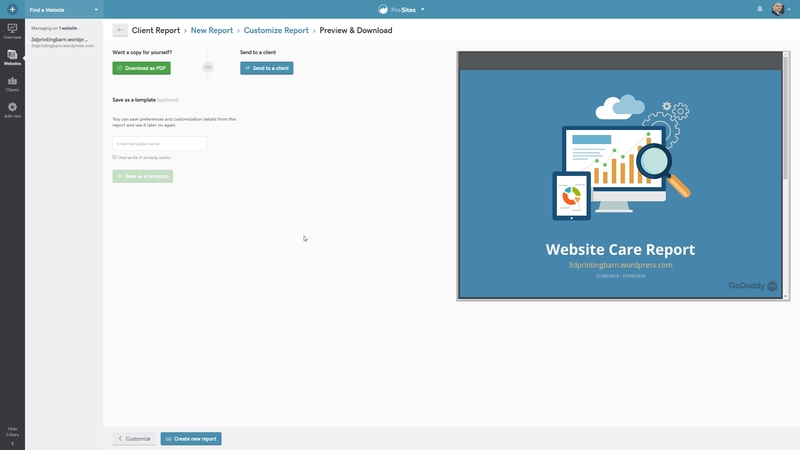 From here you can also generate Client Reports about their site, and also keep an eye on the performance levels of the site. 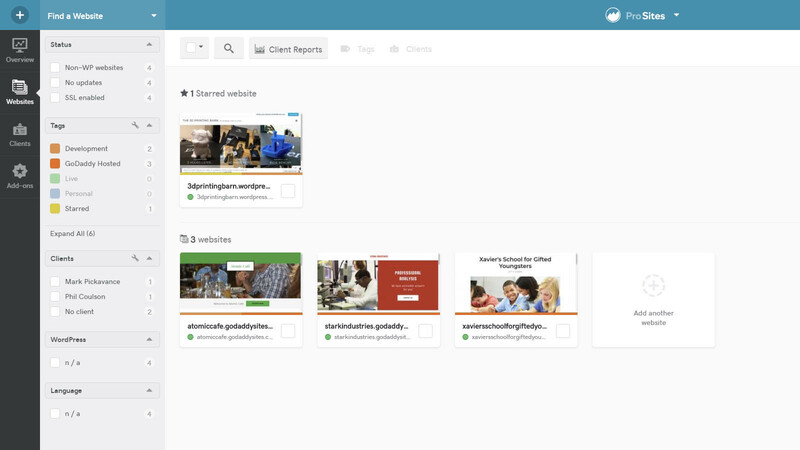 Website management needs to above all a client-focused activity, and this part of Pro is all about that. At the Pro Home level of the system is also an entirely different way to look at client information, and also a GoDaddy mechanism for shopping for new ones and chasing potential leads. 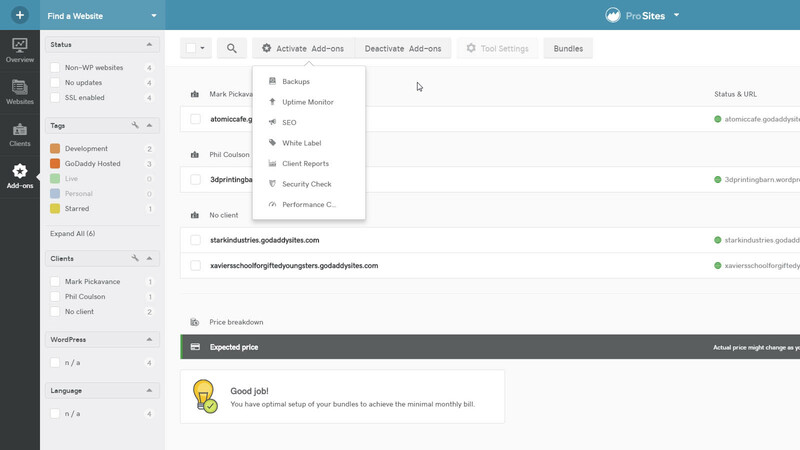 Here at the Pro Sites Client page you can create a client profile and monitor what costs are associated with those sites. It’s more about managing existing clients, their websites, and their expectations. To keep them informed with website development reports can be scheduled for a weekly, bi-weekly or monthly generation, and that can be directly emailed to the client if you’ve added their e-mail address to their details. You can have the reports emailed automatically or require your confirmation before dispatch, whichever is preferred. A full history of reports is maintained, should it be necessary to review previous activities. As a comprehensive web hosting business GoDaddy is always looking to provide their customers with the exact feature set that will suit them best. The Add-ons section of GoDaddy Pro is the place where you can click those useful extras on for specific websites, and also deactivate them if needed. Pricing for each service is on a monthly basis, and a total for any site, or sites, is calculated for you. These include Backups, Uptime Monitor, SEO, White Label, Client Reports, Security Check or Performance Check. For those that want all the bells-and-whistles on all their sites, Daddy has a bundling system. Choosing a bundle can give 100 sites a particular feature for a flat monthly fee. Currently, a single feature on up to 100 sites costs $25 (£19.35) per month, and you can have all of them for $150 (£116.10) per month. For those with more than 25 sites, this is a very cost effective to provide a better service to your clients.